As a member of National staff, I am offered 5 minutes to visit General Assembly and speak about KCML. Here is what I said to GA 2018 on Thursday. (Here is what I said on GA 2016). Tena koe, e te moderata. Tena koe, e te waewae tapu, honoured ecumenical guests. Ko koutou nga uri o Te Tahu Ngahere, tena koe. Greetings to everyone one of you, as people of the burning bush. As people of the burning bush, we follow a God revealed in Exodus 3 as a God who listens, who hears. 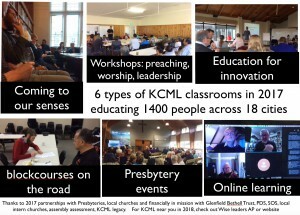 To listen has been a priority for us as KCML in the last 2 years. Through the Thornton Blair Research project we’ve listened to over 285 Presbyterian leaders, as individuals and in Presbytery focus groups. We’ve heard that you want resourcing in Faith, Community, Witness, Leadership and Innovation. We’ve heard you want this delivered not only in classrooms in Dunedin, but delivered in ways that are flexible, accessible and varied. In response, we’ve built a website. Perhaps for the first time ever in church, you’re welcome to pull out your cell phones. Check out living library. (The website will be open for the duration of GA. Then closed again for a few weeks while we attend to your feedback – what works; what could be improved). The website is shaped around what you said you needed resourcing in – Faith, Community, Witness, Leadership and Innovation. For each theme there are resources – videos, courses, books, short interviews. We offer this website as a resource for all leaders, all people across the PCANZ. Thank Synod of Otago Southland and Thornton Blair Trust for making this website possible. Can the NOM interns here among us – stand; and any LOM’s probationers, I also invite them to stand. If there are any churches who host these NOM or LOM – please stand. In the last two years, KCML has reviewed curriculum – every lecture, every assignment – against NOM core competencies. In the last two years, we’ve offered a LOM refresher course and we’ve worked with NAW on increasing cultural competency. 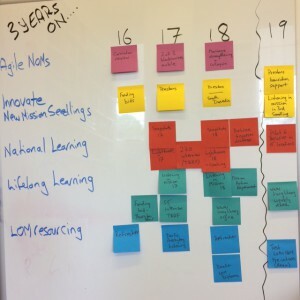 As KCML, we’re deeply aware that we’re sending leaders into a very different mission context. I stand on behalf of a core KCML team of gifted servants; of Mark Johnstone, Geoff New, Susan Peters, Kevin Ward, Malcolm Gordon. Thanks for funding – historic investment, Assembly assessment, from local intern churches, Synod Otago Southland and PDS. Thank the boards who govern and advise us as KCML – Advisory Board; Leadership SC; Resources SC; Council of Assembly – who help us as KCML as we seek to fulfil our Book of Order mandate 9.6.3 – to be a national resource and structure – for listening and sending in mission. For those attending the Listening in Mission workshop and for the sake of the environment, here is a copy of the KCML Resource (Assignment Reading neighbourhood). Art is an essential dialogue partner for Christian faith. From earliest times, art has given expression to Christian faith. It is a means of contextual theological expression and enriches understandings of doctrine and practice. Art has also served to offer critique of Christian faith. 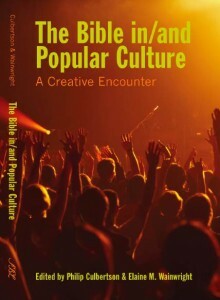 •	How has art in Asia expressed, interpreted and challenged Christian faith? •	How might Christian doctrines be uniquely expressed through Asian art and Asian art forms? •	Can art from Asia shed light on the complex and continually contested relationship between art and faith, including interpretation, authority, hermeneutics and performance? •	How might art in Asia give new insight into biblical texts? Art is interpreted broadly, including architecture, music, literature, painting, visual media, sculpture, dance, and calligraphy. Presentations that include art are particularly welcomed. This symposium follows the successful symposium on the movie Silence held in March 2017. All abstracts will be blind peer reviewed. The Christianity and Cultures in Asia Network is a partnership between the Theology Programme at the University of Otago, the Knox Centre for Ministry and Leadership, and the Presbyterian Research Centre at Knox College, Dunedin. 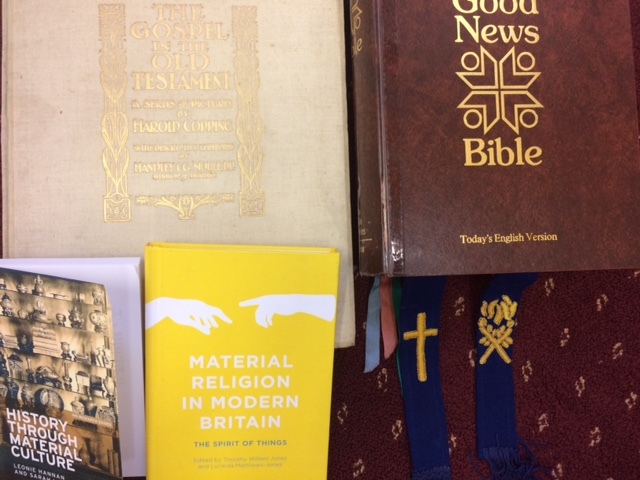 The Symposium will encourage use of two substantial collections of print resources held by the Presbyterian Research Centre, the Rita Mayne England collection on Christianity in Asia, and the Chrysalis Seed collection on Christianity and the Arts. Please submit paper proposals not exceeding 500 words by July 2nd 2018. Presentations will be 30mins in duration followed by discussion. During Lent 2018, KCML is offering (free) web-inars. 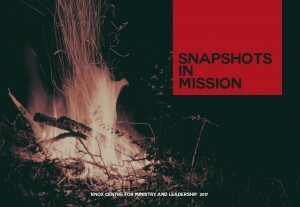 Weekly, two of the contributors to Snapshots in Mission will be interviewed via online video conferencing. What piece of music speaks to their article? 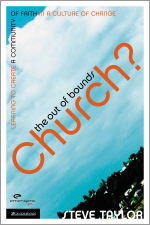 What are the implications, for church, ministry and mission? Doug Gay is in New Zealand for a summer intensive – Church in Mission: Theology in Changing Cultures. A Kiwi summer has many attractions, so why am I spending a week of it with Doug? First, Doug has a gift for liturgy. I use one of Doug’s recent calls to worship with our KCML interns . Tasked with a call to worship for the induction of an artist as a pioneer minister. Doug brilliantly framed theologies of reformation with a missional trajectories. Beautifully word-smithed, theologically rich, I use it with interns to consider how historic theologies are reforming, shaping future vision. Seccond, experience in innovation. Doug was part of pioneering one of the first alternative worship communities, the Late Late Service in Glasgow. This was in the 1990′s. There were very few maps, certainly no emerging church and fresh expression books. Here is their Christmas service, televised live on Channel 5. Doug then moved to London, and as a United Reformed Church minister, was part of birthing Host, exploring alternative worship in Hackney, north London. Third, Doug is a fine public theologian. He completed his PhD in public theology at the University of Edinburgh and has written on national identity and Christian faith. In 2017, he gave the Chalmers lectures. They were described by Jason Goroncy as “informed, intelligent, lucid, timely, and hope-filled challenge not only to Scottish Presbyterianism (the prime focus of his reflections) but also to the wider church.” They have become a book, Reforming the Kirk, with St Andres Press. Fourth, he’s a respected preacher, tag preaching in 2016 at Greenbelt with Nadia Bolz-Weber, and presenting at the sold-out Festival of Preaching in Oxford, UK in 2017. Fifth, he is himself a gifted musician. 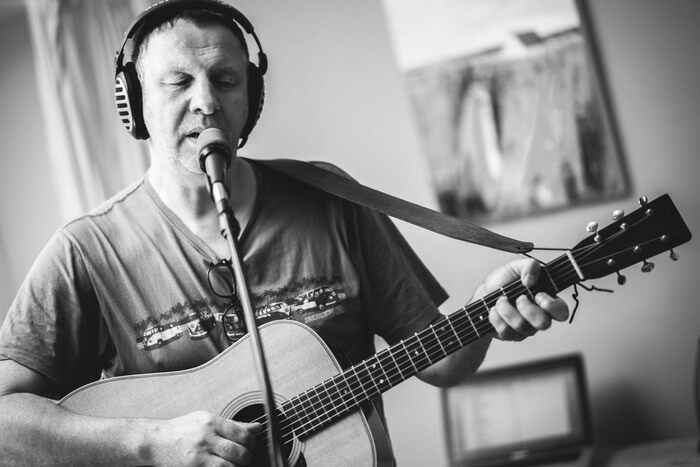 He’s recently returned to the studio to record, a sign of a wellspring of creativity. 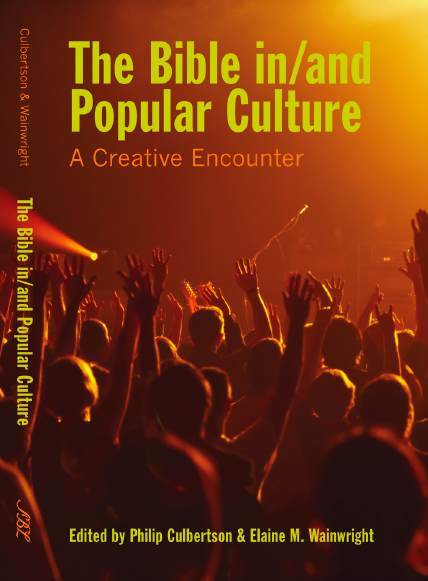 Creativity, worship, public theology, preaching and music. Worth a week inside, no matter how good the summer! The intensive runs 22-26 January, 2018. 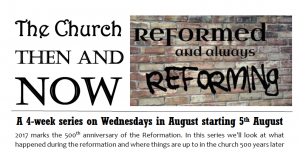 Titled Church in Mission: Theology in Changing Cultures, co-taught by myself and Doug, it is a joint offering by the Department of Theology and Religion, University of Otago, and the Knox Centre for Ministry and Leadership. 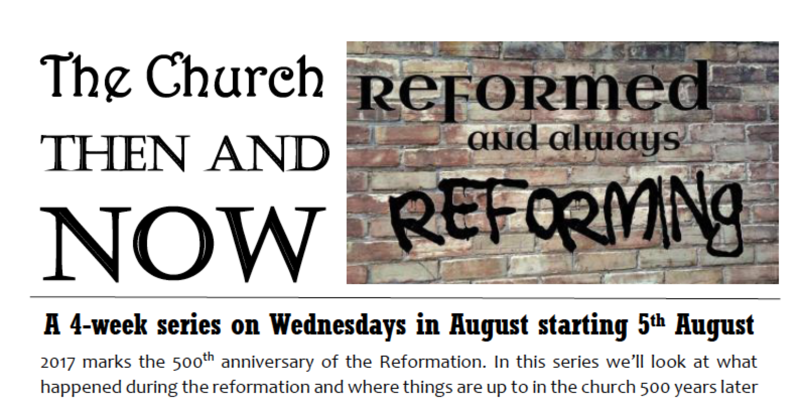 • for credit through the Department of Theology and Religion at University Otago course costs. For further details on this option contact Paul Trebilco, Department of Theology and Religion paul.trebilco@otago.ac.nz or 03 4798 798. • for audit student by contacting the Knox Centre for Ministry and Leadership. This will cost $500, with further Ministers Study Grant subsidies available for PCANZ ministers. For further details on this option : The Registrar, Knox Centre for Ministry and Leadership; registrar@knoxcentre.ac.nz; 03 473 0783. Knox Centre for Ministry and Leadership has a strategic plan which prioritises lay and ordained training to be enacted through a mix of face to face and online learning across the country. This is a new position created to support our existing educational delivery and work with us to develop our strategic plan. The successful applicant will be skilled in organisation and networking, with experience in event management and educational administration. They will have an eye for detail, a passion for adult education and the ability to support and co-ordinate the deliver of high-quality education to leaders across the Presbyterian Church of New Zealand. This includes supporting the KCML Faculty in the use of online, video conferencing and digital resources and enhancing our ability to met our commitments to being a bi-cultural and intercultural church. Enquiries and applications including a CV and letter of application addressing the Position Description to: Steve Taylor, principal@knoxcentre.ac.nz. Applications close 9 am, Monday 4 December, 2017. Interviews are set for Monday, December 11, 2017. 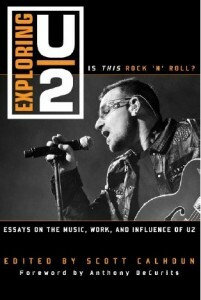 Is the author actually alive? For the last month, I have been working to complete a writing deadline. In June last year, I co-presented a paper on theological education in the Pacific at Woven Together, a conference on Christianity and development in the Pacific, run by the School of Art History, Classics and Religious Studies at Victoria University. 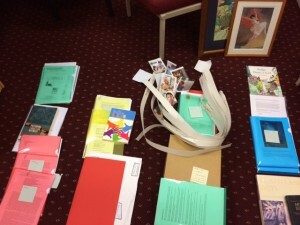 Titled The complexity of being woven together: A microhistory of Talua Ministry Training Centre, the paper involved research on the history of New Zealand Presbyterian involvement in theological education in Vanuatu, using archives held at the Archives Research Centre of the Presbyterian Church of Aotearoa New Zealand. Talua is a partner College of Knox Centre, so doing this research helped me understand and appreciate this historical partnership. Following the conference in June, I was invited to develop the paper for publication in a book emerging from the conference. In order to broaden the research, over the last few months I have been searching more widely for materials. Doing a literature search at the Otago University Library catalogue, I discovered some potentially interesting titles were held at the Hocken Collections. 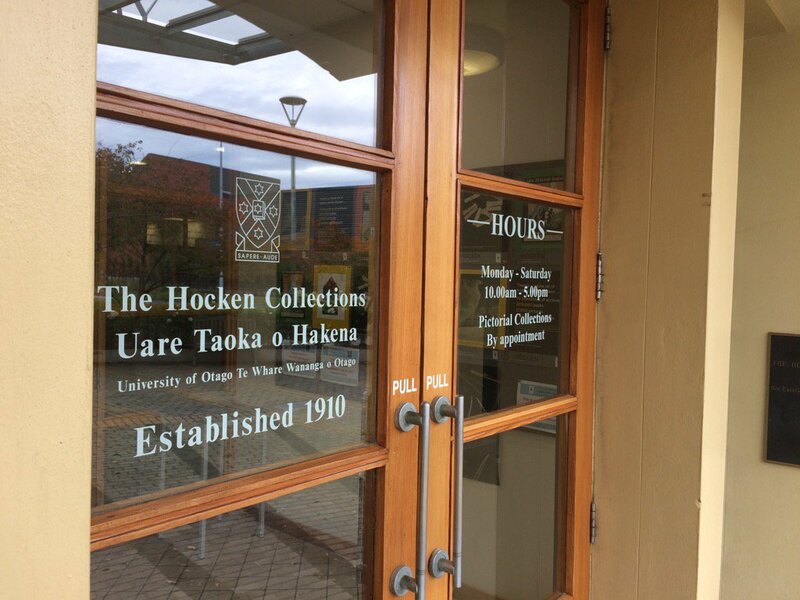 So in late March, I ducked into the Hocken Collections to look at an honours thesis, by Melissa Bray, and a lecture, by Neal Whimp. It was a lovely few hours, in the quiet of one of New Zealand’s wonderful archival resources, reading about mission in the Pacific, taking notes relevant to my research. On Friday, I was speaking in Tauranga to a group of Presbyterian ministers. Among the audience, asking thoughtful pointed questions, was a person with a name tag “Neal Whimp.” One question in the afternoon session included a very helpful probing about colonialism in mission. The nature of the question suggested that the person with a name tag “Neal Whimp” had some history and empathy toward cross-cultural challenges. As I packed up at the end of the day, I had this feeling that the name “Neal Whimp” was familiar. Something clicked in relation to my writing the day before. Was the Neal Whimp in person on Friday the Neal Whimp on paper on Thursday? Surely not!? Could the lecture I read at the Hocken Collections actually have a living author? Surely not in Tauranga, surely not some 37 years later? Before I could check, the person with a name tag “Neal Whimp” was gone. On Saturday, I spoke again, to a larger group, still Presbyterian, but this time a mixture of ministers, elders and lay people. As folk began to gather, I kept scanning the crowd. Would he return? If he did, would I get to connect with him among a crowd of over 100, moving between multiple workshops and keynotes? Sure enough, it was the same person. We had a great conversation. 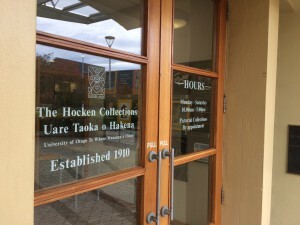 He was delighted to know his lecture was held at the Hocken Collections and was being read. I gained some more insight, albiet briefly, into his work in Vanuatu in theological education between 1969 and 1980. 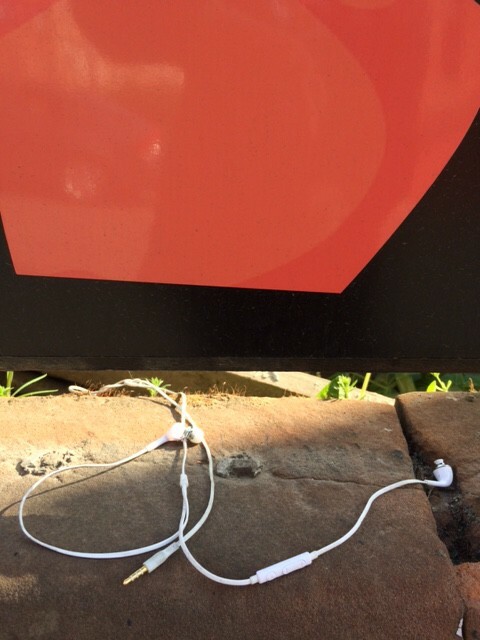 And I left pondering this striking coincidence. Authors read in archives can actually be alive! A person I cite on a Thursday can be met for the first time on a Friday! I shut my office door at 1:30 pm this afternoon. I have to travel tomorrow morning to deliver 4 talks in Tauranga over the weekend. 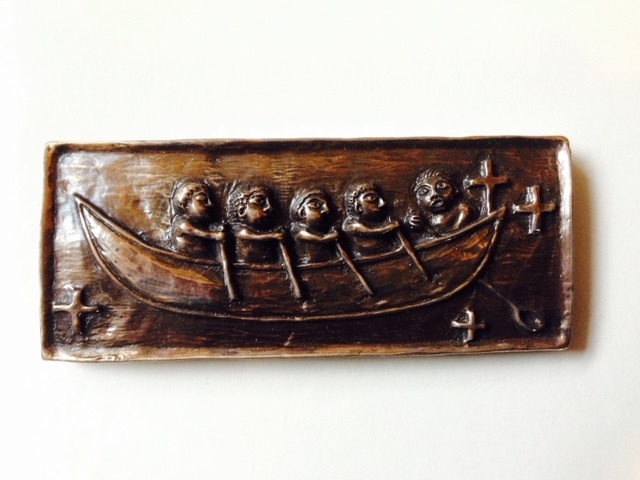 Friday, 19 May, 1-2pm: Preparing for mission and ministry today – the introduction of three art pieces, with the stories of how they have been central in shaping my ministry and their implications for innovation, formation and mission. Saturday, 20 May, 10:30am-11:10 am: Innovation and the Mission of God – a workshop reflecting on six Biblical images that help us understand innovation as an essential practice of a healthy community. 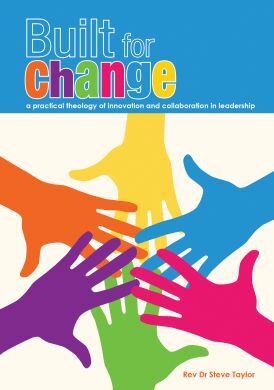 Two stories of change that help us appreciate that innovation is not the mysterious quest of a heroic leader, but a set of collaborative, practical actions. Saturday, 20 May, 11:15am-12:15pm: Refresh! Renew! Rethink! 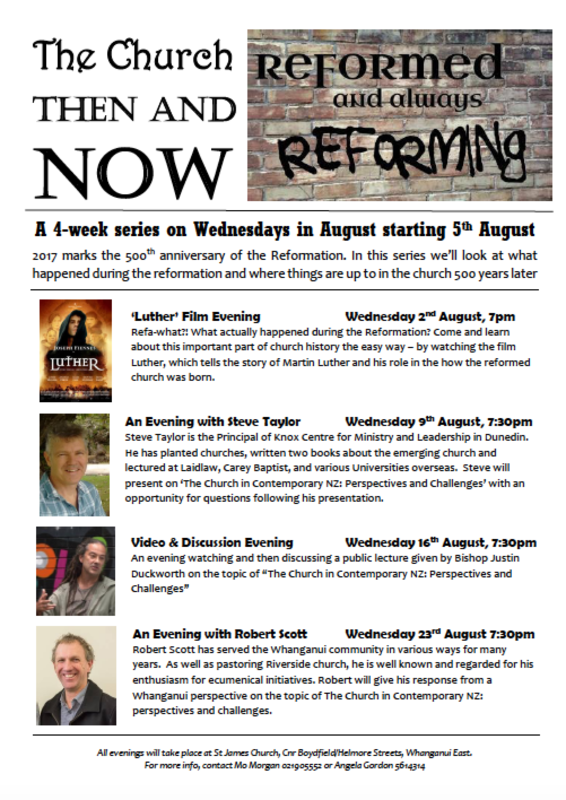 How Scripture brings change in our communities, with particular attention to the justice-making of Wiremu Tamihana, Te Whiti and the Tamar project. So with a 4 hour window clear of appointments, it was time to prepare. Thankfully each of the talks was something I’ve done before. Thankfully when I speak, I keep physical files of the various resources I use on the day. Thankfully when I speak, I prepare on a computer, which means I can easily make adjustments from one context to the next. So the preparation was a matter of sifting piles, compiling resources, checking and then copying handouts. By 4:45 pm this afternoon, I had 4 rows. Each row was in relation to each talk and included speaking notes, handouts and a range of creative resources, unique to each session, that I will use to enable engagement, imagination and interaction. Now all I need to do is get the 4 piles packed and on the plane, trust nothing gets lost in the Dunedin -> Tauranga flights and make sure the right resource gets pulled out for the right session. I really enjoyed my time with the Kaimai Presbytery last year, and I’m also looking forward to connecting with current interns, recent graduates and perhaps some incoming interns!